My flatmate comes home and sees what I'm up to in the kitchen. "Back on the broccoli and pasta, I see?" 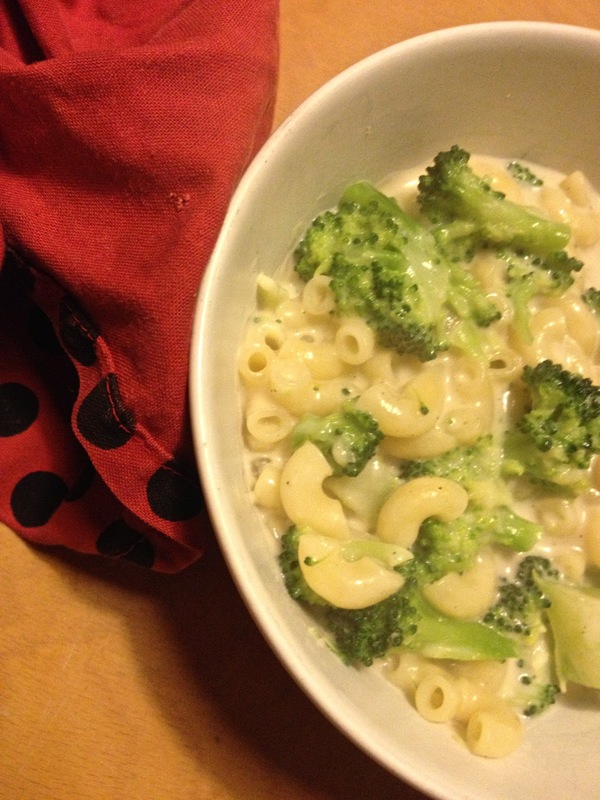 Indeed, it was round two of the Broccoli Pasta Recipe. Based on what was learned before, I decided upon some changes. First, the skillet frying was not needed -- we could just boil the pasta and broccoli together till done. Next, we'd make an actual cheese sauce for this. Make some white sauce or heat some up: add the parmesan and pepper to taste, stir thoroughly. Salt up some water and get it boiling. Add 1/2 cup elbow macaroni, let it cook for about 4 minutes, then add to the same pot 3/4 cup broccoli florets and let them cook together till the pasta is done. Drain. Then mix together the noodles, broccoli and sauce. And that's it. This was so much better than the last recipe, and it didn't even seem to need the garlic anymore.